Did you know that a staged home adds more appeal to buyers when you’re ready to sell? When buyers see your home staged instead of a vacant home, they’re more likely to be able to imagine themselves living in your home, therefore they’ll be more likely to put in an offer. 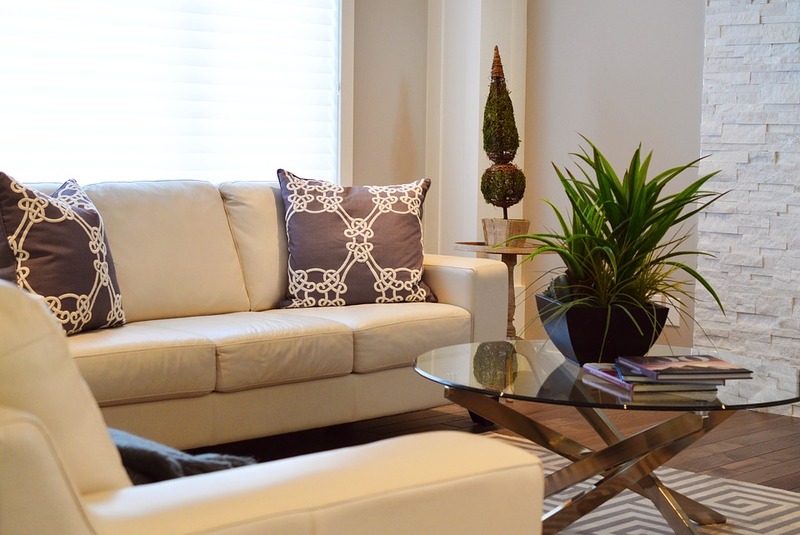 The great thing about home staging is that you don’t have to hire a professional home stager to be successful. Here are four ways that you can stage your home yourself. 1. Start with the exterior. First thing’s first: curb appeal. How is your curb appeal measuring up? From your driveway to your front door, there is plenty of ground to cover. For your driveway and exterior of your home, take the power washer to these areas to make them shine. Next, tame the garden beds and keep your lawn in tip-top shape during the selling process. Then, it’s time to get your front porch looking spiffy. Give your front door a fresh coat of paint, add a pair of potted plants on either side of your porch and maybe get some new hardware. For an extra bonus, you might upgrade your door numbers or mailbox. 2. Make sure your home is clutter-free. From piles of mail to too-cluttered bookshelves and countertops, tackle these areas to ensure your home is not only clutter-free, but well staged. Buyers don’t want to be distracted by all of the items you’re cramming into spaces. This means that you should tidy up your closets, too! During home tours, rooms and the nooks and crannies of your home aren’t off limits. Plus, if you’re having trouble fitting all of your belongings in your home, the buyer is going to start thinking there’s not enough square footage. Before you start shuffling furniture around to stage your home, begin with depersonalizing your home. Remove distracting artwork and loud decor. The same goes for your paint colors. You don’t want to risk turning buyers away with your lime green wall. Go ahead and paint any loud-colored walls back to a neutral color. 4. Use what you have. More often than not, you can stage your home without having to buy a plethora of new items. Once you’ve depersonalized your space, use neutral items when decorating your space when www. You might even add some seasonal decor to make the space feel more warm and inviting. The key is to stick to a neutral palette that can appeal to a majority of buyers. Then if you do have any furniture with loud prints, consider draping a neutral throw over it or putting it away in storage during the home showing.